The fact is, we each come in with different amounts of debt (and some of us with no current debt). Some members may not be able to pay down any of their debt for quite awhile as they learn to live within their means and practice self-care by putting their needs first. Yet, tracking the number of days without adding to our unsecured debt is the same for everyone. Based on the powerful message of this article, I believe I now have my priorities straight for the order of my physical recovery. But I must mention that the overriding requirement, of course, is that I do my best to live in the spiritual solution, which is the only way I will succeed in not debting one day at a time. However, a DA HOW friend reminded me that many of us do come in focused on repaying our debt, which is often the main crushing result (and symptom) of our disease from which we want relief. Recognizing that I, too, am just beginning to get the truth of what recovery means after four+ years of abstinence, I do see the value of also letting members know, secondarily, how much debt we have repaid (in my case, as of now, approximately $21,379 of a $33,000 credit card debt). Just as in Overeaters Anonymous, though members with long-term abstinence know that recovery is the act of not binging or purging one day at a time that is key, most newcomers need to hear the amount of weight lost by members to keep them encouraged and staying in until they, too, get the message. As we walk through day one, day two, day three, etc., of not incurring new unsecured debt, we begin to peel the layers off and eventually see our symptoms clearly, (such as the compulsion to spend or deprive ourselves). 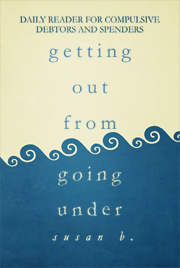 Working the spiritual program of recovery, we learn that there is a difference between pain and suffering, and each time we don’t give in to our obsession, we find that the urge passes (sometimes quickly, sometimes slowly, but, eventually, always). We find miracles happening and ways to overcome financial challenges that we never expected. And we begin to learn a new way to relate to money and spending. But all of this stems from, first, not incurring new unsecured debt one day at a time. So today, if you have not debted, recognize the power of one – one day free of new debt. 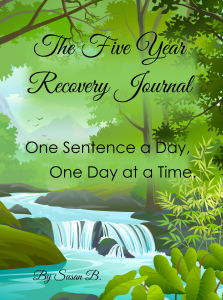 While the accumulation of days is an important marker, remember that every one of us began with one day … and continue to accrue one day at a time by doing today what we did yesterday to stay in recovery. This entry was posted in Debt Repayment, Debtors Anonymous (DA), Debtors Anonymous H.O.W., How to Begin. Bookmark the permalink. ← Bill W. – Compulsive Debtor?